The Convention refers to “marine technology” chiefly in terms of exploration, exploitation, conservation, and management of marine resources, the protection and preservation of the marine environment, marine scientific research, and other activities in the marine environment although in the greater sense it includes “all kinds of technology”. The aim of this part of the Convention is to promote and develop knowledge, technology, the necessary technological infrastructure for the transfer of such technology, training and education, and co-operation on all levels as well as to develop the marine scientific and technological capacity of such states, particularly developing states, which may need and request assistance to accelerate their social and economic development. In particular, the Convention hopes to stimulate and advance the conduct of marine research by developing coastal states and to enhance their national capabilities to utilize and preserve their marine resources for their economic benefit, especially with regard to their exclusive economic zone and continental shelf. The transfer of technology is to take place on fair and reasonable terms and conditions, with due regard for all legitimate interests, including inter alia the rights and duties of holders, suppliers, and recipients of marine technology. 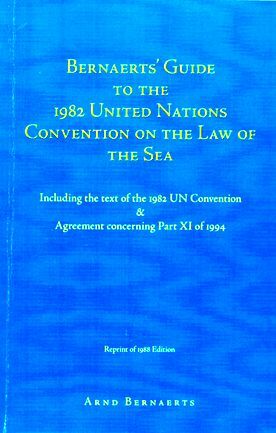 In addition to the Sea-Bed Authority competent international organizations are, either at the request of states or directly or in close co-operation among themselves to ensure the efficiency of the transfer of technology, although states may promote such activities on their own initiative; however, with regard to the transfer of technology to developing states, they are obligated to co­operate with the international organizations so as to assure efficient co-ordination. Support can be provided directly through bilateral, regional, or multilateral programmes, or by the establishment or strengthening of established national or regional centers. The measures to be taken should include programmes of co-operation, conclusion of agreements and contracts, conferences and seminars, exchange of scientists and technological and other experts, and joint ventures. 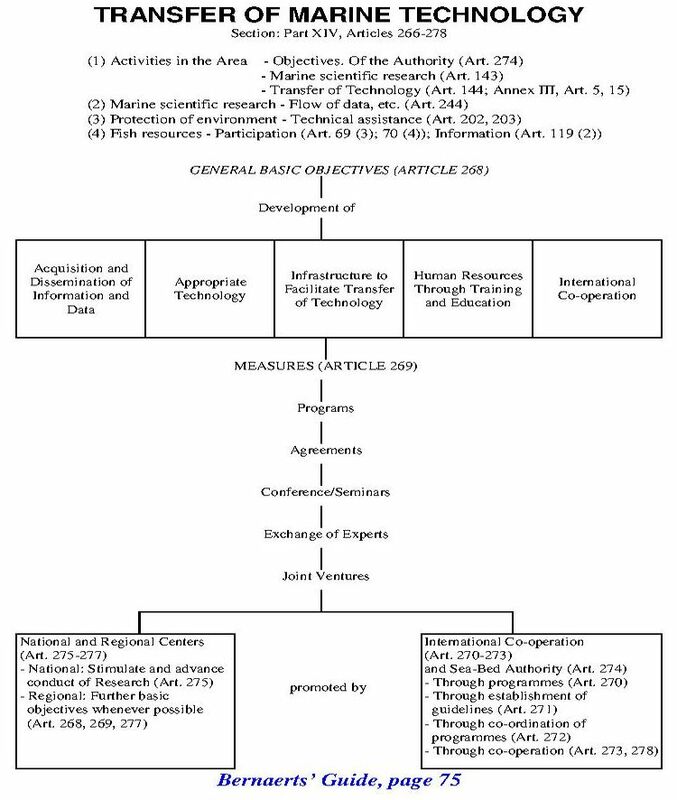 The national centres are to stimulate and advance the conduct of marine research whereas the functions of the regional centres include inter alia training and educational programmes, management studies, publicizing of national policies with regard to the transfer of marine technology, and statistical work. These provisions on transfer of technology also have an impact on other parts of the Convention related to the support of developing states, such as participation in activities in the Area, the flow of scientific research data technical assistance for pollution management and participation of neighbouring land-locked and geographically disadvantaged states in scientific research in the exclusive economic zone.